Rotary has a proven track record of success in its commitment to helping vulnerable mothers and all children to live longer and grow stronger. Examples can be found all over the globe and in our own back yards in District 5080. Abroad: With advancements in technology and increasing internet speeds, Rotarians have leveraged global grants to allow for virtual doctors’ appointment in rural Nigeria. Rotary clubs in sister cities have funded incubators, ventilators and other equipment for infants in the NICUs of Brazil hospitals. Rotary.org is filled with amazing examples of how Rotary is focusing on maternal and child health, and examples of why we need to keep advancing. At home: Rotarians are helping to ensure the safety of mothers and their children who are leaving unhealthy domestic situations in our communities. Children and schools that may not otherwise have access to sports programs are now supported thanks to Rotarians. We work with Rotary clubs across our District and the globe to provide access to education and healthcare to mothers and children. This month, visit the weekly People of Action (POA) video clips on the left-hand side of our District website’s homepage for a glimpse of some of the wonderful action our local Rotarians are taking to improve maternal and child health. “If mothers are empowered and healthy, so are their families, leading to an alleviation of poverty and hunger.” Robert Zinser, co-founder of the Rotarian Action Group for Population and Development. Rotary empowers mothers. Rotary empowers mothers out of difficult situations. 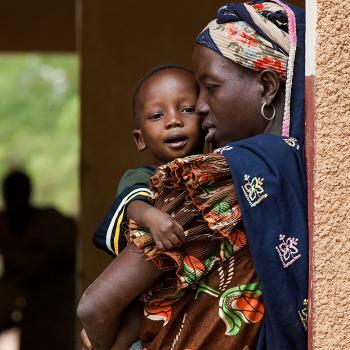 Rotary empowers mothers to reach levels of success that may not have otherwise been possible. As in my case, Rotary’s flexibility and dedication to families empowers mothers with an avenue to impactfully volunteer in a most meaningful way: alongside their children. Our District’s Rotarians have empowered me to continue pursuing my philanthropic passions while embracing motherhood. In Rotary I have a place where I can feed my heart for service, am pushed to continue personal development, and most importantly, demonstrate to my daughter the positive impact and lasting change that volunteering for Rotary has on humanity and our own little family. All with kid-in-tow. 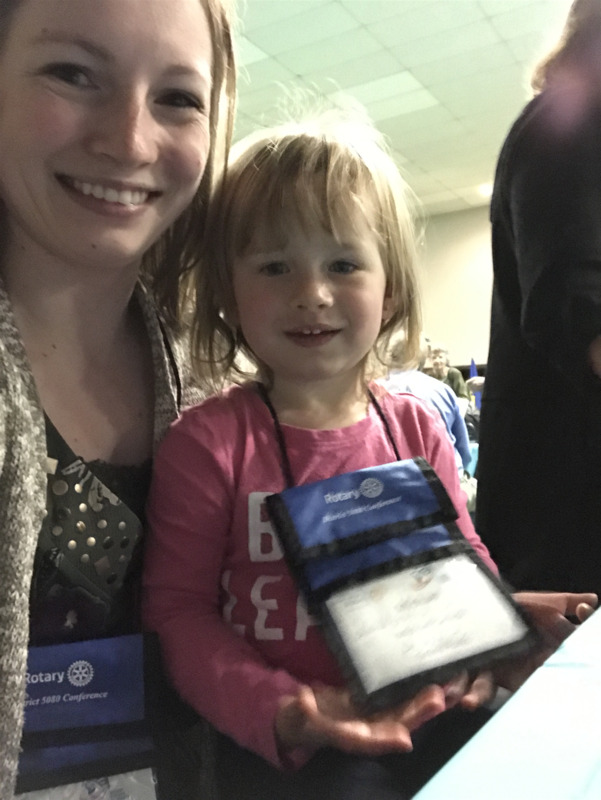 My 4-year-old Annastasia has had the opportunity to serve by picking up litter with Interact students, popping and selling Kettle Corn with Rotarians, and attending club meetings and Conferences alongside her parents. Rotary gets more flexible, creative and family-friendly with each passing year to the benefit of its members, our communities and the good work we aspire to do. Rotary connects people, connects mothers and children, from around the globe. Rotary brings for me a sense of comfort when I see the positive results our action has, and simultaneously brings a sense of urgency that we must continue to do good work to provide all mothers and children with safe and healthy living. In the many ways that Rotary touches the lives of mothers and children across the globe, it is evident that this organization continues to fulfill its goal of supporting maternal and child health so that mothers and their children can live and grow stronger.